The following is an example of journalism for dummies. It doesn’t inform of enlighten, it merely echoes the official narrative without question. It claims that the deadly Russian nerve agent that killed Dawn Sturgess has been found in a perfume spray bottle. Instead of asking the obvious, the following Sunday Mirror report puts the cart before the horse and asks whether Dawn Sturgess had sprayed herself with the Novichok. This neatly sidesteps questions about how the nerve agent got there in the first place. It also avoids asking whether the novichok allegedly responsible for Sturgess’s death had been concocted at Porton Down, Britain’s foremost chemical and biological weapons laboratory. The fact that Sturgess was poisoned in Amesbury, which is only seven or so miles from Porton Down, should at least raise questions about its proximity. However, the following Mirror article doesn’t even mention Porton Down. That suggests that the writers are trying avoid mentioning obvious questions about proximity, which makes what follows disinformation rather than journalism. Ed. 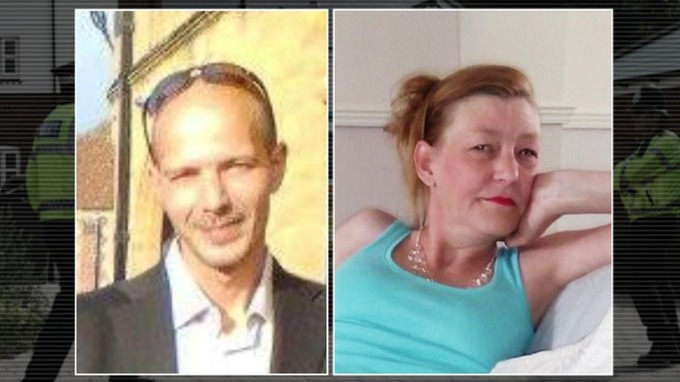 The nerve agent which poisoned two people in Amesbury was inside a perfume bottle, the brother of one of the victims claims. Matthew Rowley has revealed that his brother Charlie – who remains seriously ill in hospital – said he’d picked up the perfume bottle, the BBC reports. Labourer Charlie and his partner, Dawn, 44, fell ill at his home on June 30 after being exposed to Novichok, the nerve agent used to poison Russian spy Sergei Skripal and daughter Yulia in nearby Salisbury in March. Mum-of-three Dawn died last Sunday and a murder investigation was launched. The claim the substance was in a perfume bottle raises the question of whether Dawn sprayed the perfume on herself, the Telegraph reports. Police on Friday revealed they had found a small bottle of the substance inside Charlie’s property but when contacted by the Mirror today they offered no further comment. Matthew said yesterday that he’d visited his 45-year-old brother in hospital after he’d come round and said he barely recognised him. “He was semi-woken and said, ‘They killed my girlfriend, they killed my ­girlfriend.’ He was very angry and crying.